The deadlines for the payment of school fees and registration by fresh and stale undergraduate students of the University of Port Harcourt (UNIPORT) for the 2018/2019 academic session. This is to inform all the fresh and returning undergraduate students of the University of Port Harcourt (UNIPORT) that the management of the institution has announced the deadlines for the payment of school fees and registration for 2018/2019 academic session. 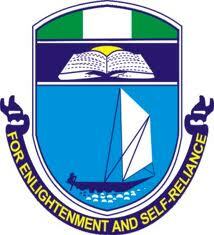 UNIPORT School Fees and Registration Deadline. END OF REGISTRATION FOR ALL STUDENTS IS 5th APRIL, 2019. Please note that in line with Section 10.5 of the General Regulations and Statement of Academic Policies of the University of Port Harcourt, March, 2016, any student who fails to pay his/her School Charges and register his/her courses online before the deadlines, as stated above, will lose his/her studentship for the 2018/2019 session. Also, note that the lost session shall form part of the total duration allowed for the Programme. However, a student who has genuine reason(s) to apply for Temporary Withdrawal from Studies for the session must do so, by following the due process, before the end of the First Semester of the session. Is uniport admission list out? When would uniport screening result out?